Certification process in Russia and in Custom Union is not so easy and clear. Frankly speaking even for Russian manufactures sometimes it can be difficult to understand all details of certification process. That is why company, which is situated in Russia, with Russian english speaking experts, is better solution, than companies who are situated in your country, and don't know all details of certification process. Only the company, which is registrated on the territory of CU (Russia, Belorussia, Kazakhstan) can be an Applicant for certification or declaration for TR CU. Applicant for certification for scheme 1c, 9c can be may be registered in accordance with the legislation of the Member State of the Customs Union on its territory a legal entity or natural person as an individual entrepreneur, or the manufacturer, or executing functions of the foreign manufacturer on the basis of a contract with him, in terms of ensuring compliance of delivered production requirements hereof and in terms of liability for non-conformity of supplied products to the requirements of the technical regulations of the Customs Union (the person performing the functions of the foreign manufacturer). 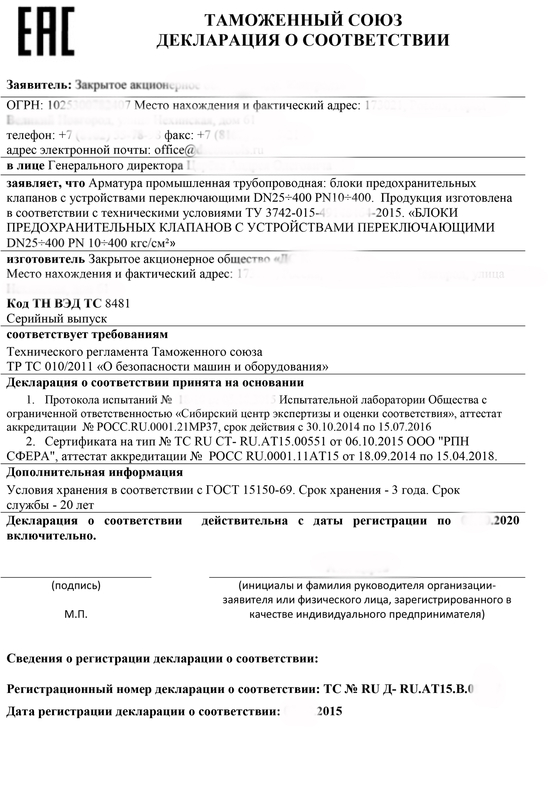 If you need an example (form) of a contract between foreign manufacture and Russian (or Custom Union registrated company), just wright to info@endce.ru with topic "contract for representative", and after it you'll be able to download form, which is made by our lawyers. For foreign companies which still don't have good partner on Russian market, LCC ENDURANCE have an ability to be representative for you company. Because we are not manufactures of equipment we'll never be competitors, and our partners find not only a representative, but good longtime partner in any mandatory documantation questions. According to Custom Union law, in the case of braking the law (see below) Russian low will ask all questions to your representative. What information is written in certificate TR CU 032/2013, TR CU 012/2011, TR CU 010/2011, TR CU 004/2011, TR CU 020/2011, TR CU 016/2011. In some cases, instead of the declaration is better to make a certificate or declaration scheme 5d. Example of TR CU 010/2011 declaration (scheme1), and TR CU 012/2011 certificate. Most of the technical regulations of the Customs Union, allows you to change the declaration of products for certification. Certification is a rigorous process of conformity, with stiffer evidence. 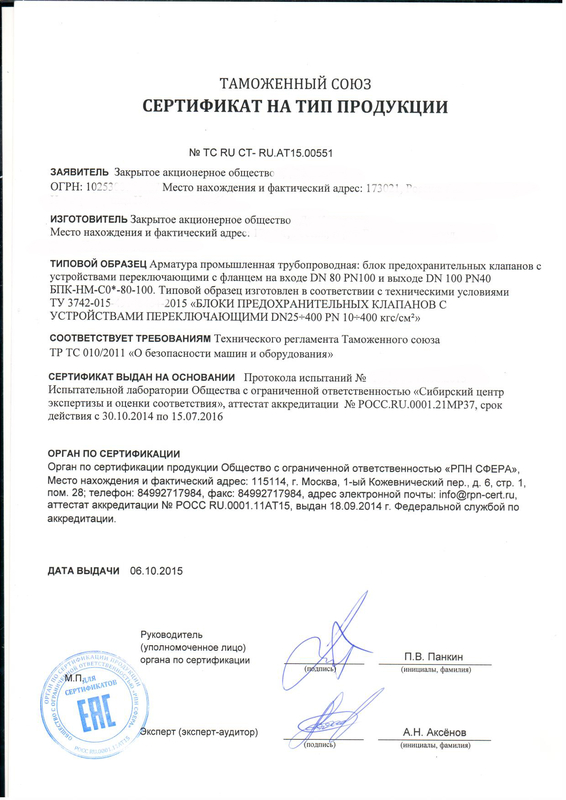 In contrast to the declaration, a declaration which the applicant may take evidence on the basis of their own (or their laboratory testing laboratory, but the test pieces which prepare the applicant) for the certification is always carried out sampling for testing and the tests are carried out only in the laboratory entered in the register Laboratory of the Customs Union. Moreover when sertifiikatsii serial production, as opposed to the declaration, the analysis of the state of production and inspection. According to para. 5 of Article 8 TR CU 010/2011: According to para. 2 of Article 7 TR CU 004/2011: According to the decision of the applicant's declaration in lieu of compliance in respect of machinery and (or) equipment included in the list referred to in paragraph 1, item 4 this article may be performed by certification schemes Certification schemes equivalent declaration of conformity provided for cars and (or) equipment this technical regulation, including the absence or inadequacy of the applicant's own evidence of conformity requirements of TR CU. According to para. 2 of Article 7 TR CU 004/2011: Low-voltage equipment, not included in the specified list, subject to conformity assessment in the form of a declaration of conformity (circuit 1d, 2d, 3d, 4d, 6d). 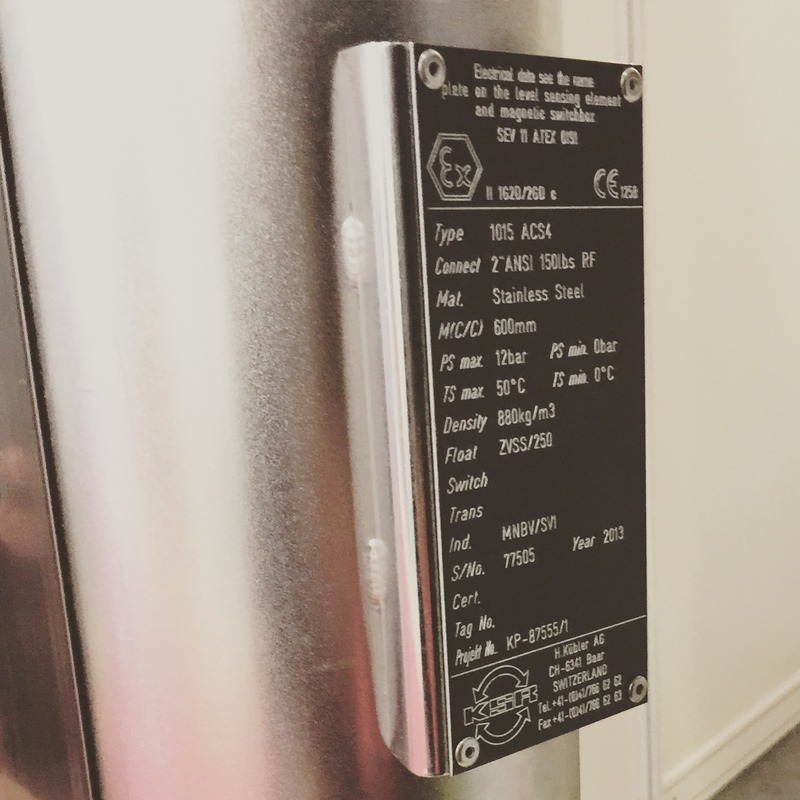 Selecting a scheme of declaration of conformity of low-voltage equipment, not included in the list is carried out by the manufacturer (the person authorized by the manufacturer), importer. According to the decision of the manufacturer (person authorized by the manufacturer), importer confirmation of compliance of low-voltage equipment, not included in the list may be in the form of certification in accordance with paragraph 5 of this Article. ATTENTION! 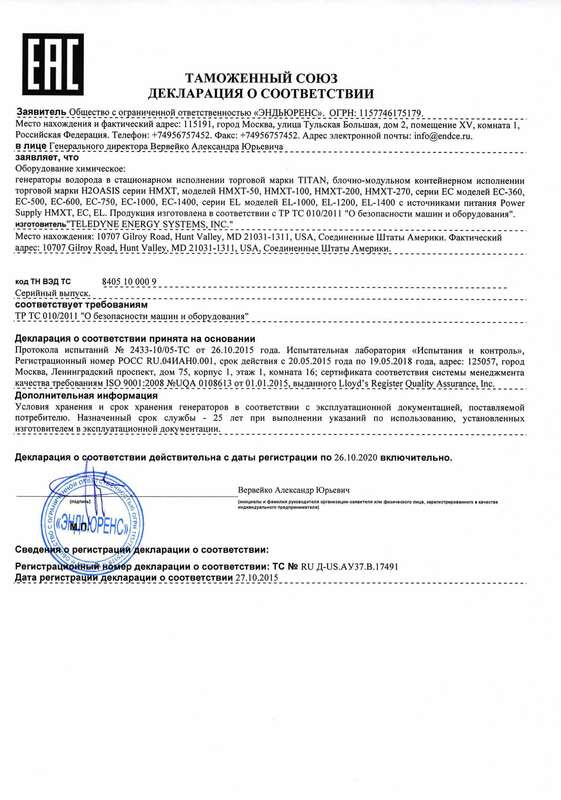 TR CU 012/2011 does not contain the possibility of declaring equipment. All explosion-proof equipment subject to certification by TR CU 012/2011. Read more about the Ex equipment certification for TR CU 012/2011. According to the 184-FZ (Federal Law) declaration and certificate have equal legal force. But in practice, many manufacturers often instead declaration decorate certificate. Price. Declaration by 40-50% (except for declarations on the scheme 5d) cheaper certification procedures. WHEN YOU NEED DECLARATION 5D (what is declaration scheme 5d). The practice of the declaration scheme 5d shows that most of the declaration scheme 5d in Russia only applies in the case of equipment in hazardous production facilities. In cases where the manufacturer does not apply the standards from the list of TP CU, or when doizgotovlenie equipment takes place on-site, are the manufacturers declaration of standard schemes. Choice scheme declaration - the responsibility of the applicant, but the applicant often difficult to weigh and understand what the risk is with him and operators, the choice of a simple declaration scheme, and whether it is at all. Examples where territorial inspectors RTN, temporarily suspend operation of the equipment, due to the declaration adopted not true, almost none. Customs in the 90% do not see any difference in these schemes declaration, for them the main thing is the existence of the document. But we must not forget that there is a responsibility of the applicant. 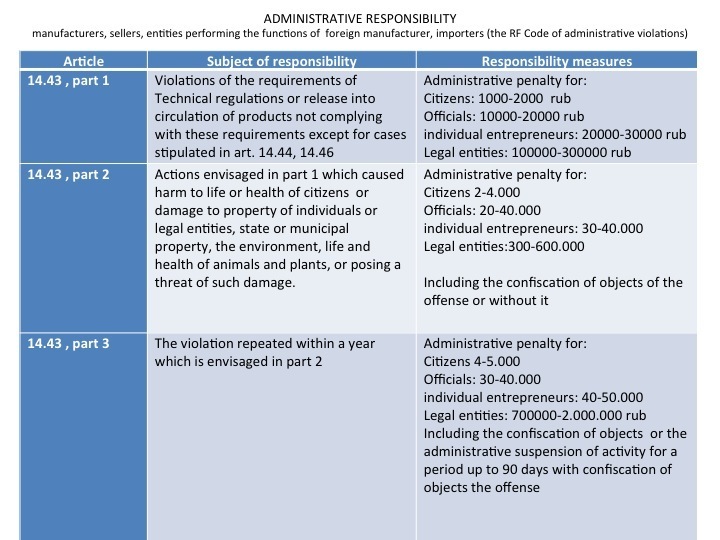 According to the Code of Administrative Offences, penalties for violation of TR CU 100.000r from above. And if, suddenly, something happens to the equipment outweigh the blame on the applicant, it will be very easy. This product certification body is responsible for checking scheme chosen by the applicant, but the certification body can not 100% know exactly where equipment is available, and whether the plant is classified or plant as hazardous production facilities. Declaration by the scheme 5d issued on the basis of a set of documents to the applicant and the type of certificate (see photo). 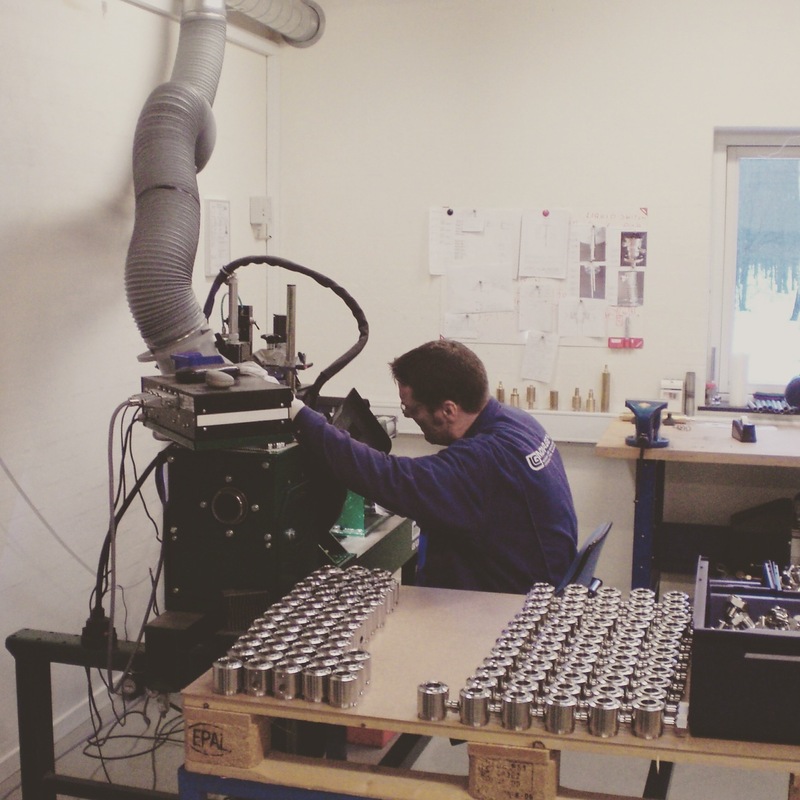 To obtain the certificate necessary to examine the type of sample (as a representative of all the cars produced later and (or) equipment), and then conduct tests in an accredited laboratory. 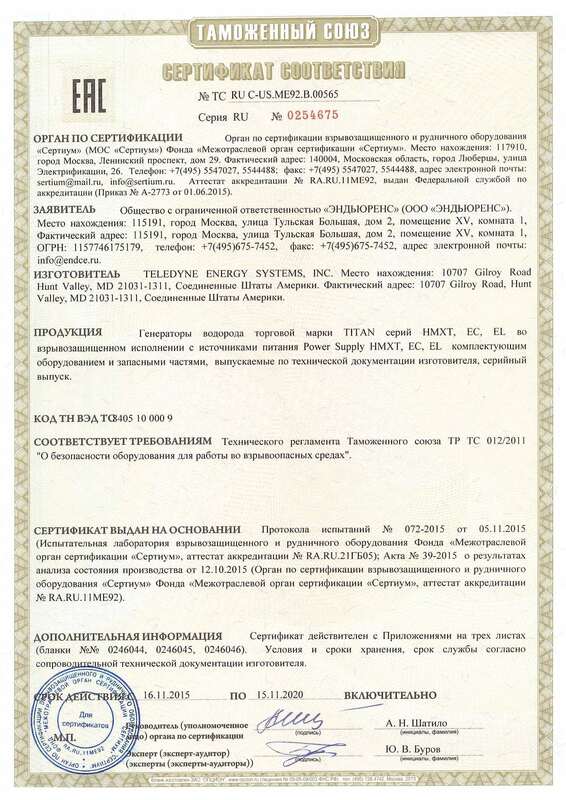 Type Certificate is issued in accordance with the decision of the Board of the Eurasian Economic Commission of 09.04.2013 N 75 "On approval of the unified form of the certificate for the type of products that meet the requirements of technical regulations of the Customs Union" On Safety of machinery and equipment ", and the rules for its completion." Scheme 5d declaration applies to TR CU 010/2011 and TR CU 032/2013. 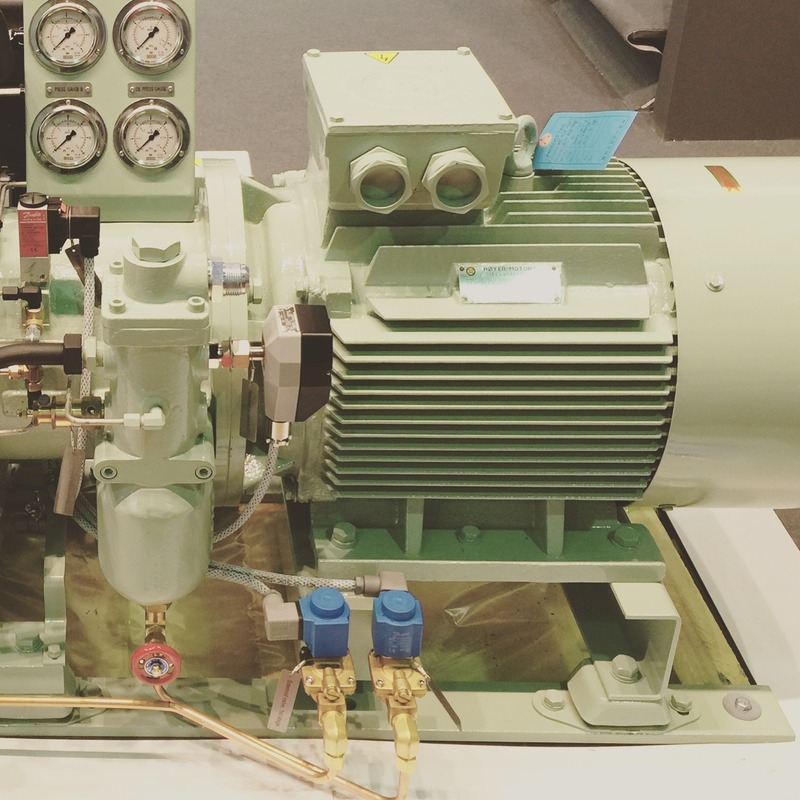 In the case of the Technical Regulations on the Safety of pressure equipment (TR CU 032/2011) circuit 5d, is most often used in the case doizgotovleniya equipment with permanent connections (eg welding) occurs on-site equipment. 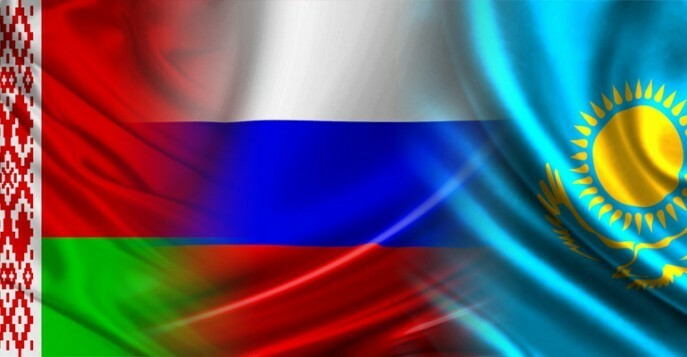 For more details of getting Russian certificate (Custom union certificate), please visit our partners web page for the most efficient certification training AES-028 Certification for Russia (And Customs Union). Certification of pumps (TR CU 010/2011) including Explosion proof pumps (pumps for explosive atmospheres) TR CU 012/2011.